‘People think they want to live on a boat, but don’t take into account the amount of work and ‘survivalist’ attitude that is needed. Things like gas and wood for ovens and heating don’t get onto your boat unless you put them there!’ –Residential House boaters Association Interview, March 2016. The community in Shoreham-By-Sea, is a well known and common sight for the residents of the town. Having lived in Shoreham until the age of 11, I was curious to explore whether my imagination as a child, seeing these people as ex-pirates and gypsy’s, held true. Instead I found artists, writers and engineers. Throughout this project I focussed on people who have been in the community for most of their lives. Hamish McKenzie and his artistic collection of boats created from scrap, dismembered vehicles and artillery pieces. Fred and Polly Cole with ‘Fische’, a wartime German minesweeper bought for £500, as well as Pete and Joan O’Sullivan on the cosy ‘Carolien’. 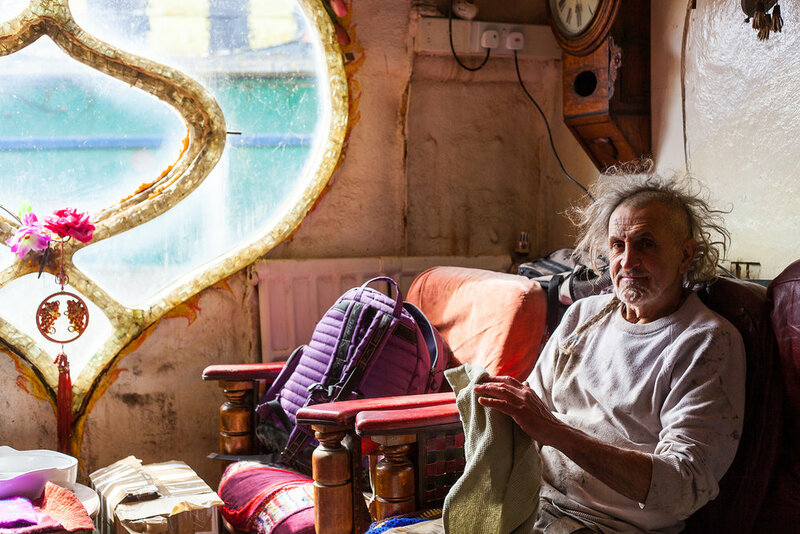 They have lived on the boats since the early 80’s and take great care of the homes, having built-in workshops to deal with potential leaks and breakages. The positivity of the Houseboaters in their way of living, unattached from mortgages and rising rents, creates a liberated community. However, the offers from outside buyers has pushed the potential for sales up to prices nearing £300,000. Only time will tell as to whether the community wishes to stay as it is, or whether the potential for large profits will have a detrimental effect.